Miami's Courvoisier Courts condo is a 28 story building located on the western side of the triangular-shaped island of Brickell Key, itself located just east of the city. The building features traditional Miami condos for sale plus penthouses that occupy two stories, all of them with views of Biscayne Bay and the Miami cityscape. Because it's on an island, Courvoisier Courts residents enjoy a greater degree of privacy and serenity than choosing a condominium found in the middle of the Miami metropolis. The Courvoisier Courts in Brickell Key is a great choice if you're into physical activity. Besides its two story fitness center, the building also features a racquetball court and squash. This in addition to the building's other amenities like the social room, swimming pool and much more that's waiting to be discovered. The units of Courvoisier Courts have 806 to 3,751 square feet of living area and come with features like nine foot ceilings and large balconies. 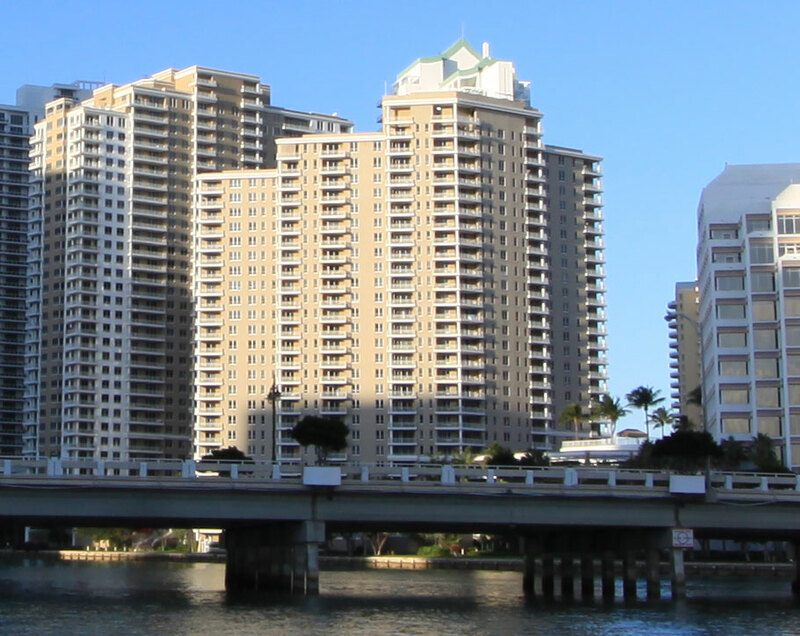 Brickell Key itself is surrounded by water and makes for a great, scenic stroll which is further enhanced if you visit Brickell Park located on the southernmost point of the island. 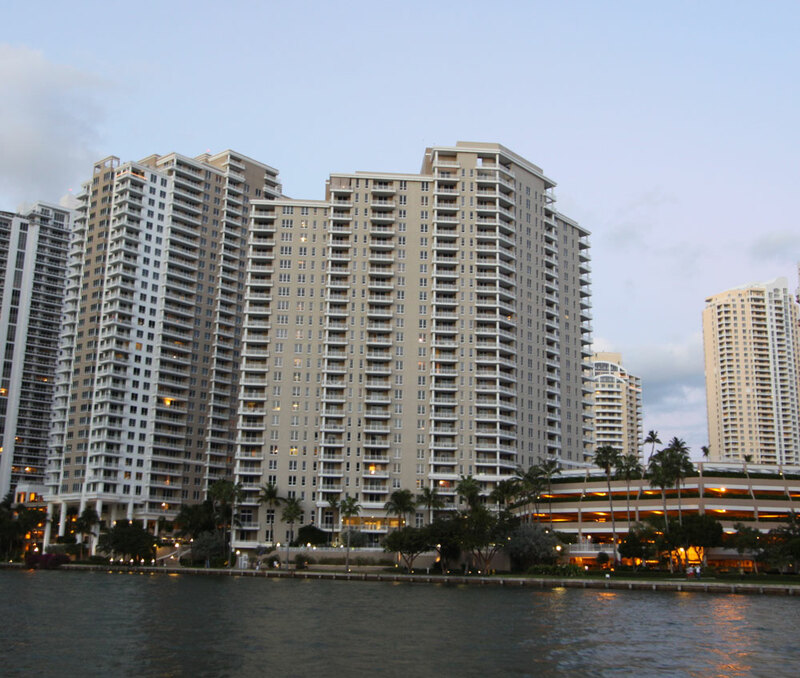 Exploring the Brickell area is just a matter of using Brickell Key Drive on the western side of the island which will allow you to visit attractions like Mary Brickell Village or the Miami River Walk. Downtown Miami is just northwest and has many large scale attractions, including the American Airlines Arena.